5. 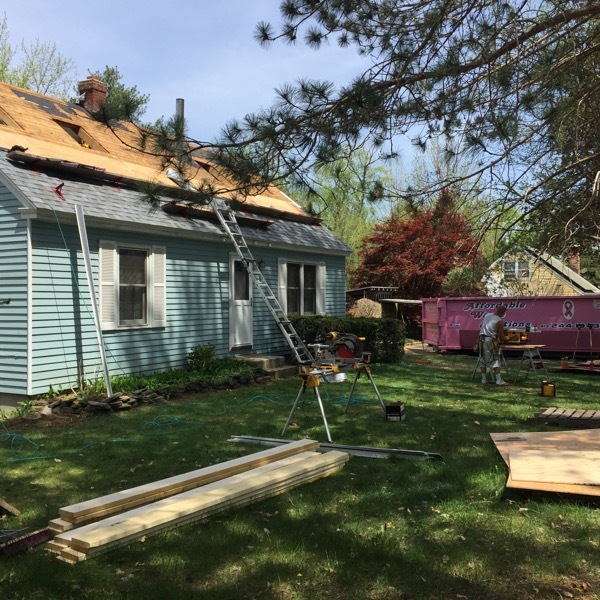 Our 50 year warranty through Owens Corning is one of the best in the area. 4. We care about your home’s resale value and will assist you in getting the most value you can. 3. We use full size shingle samples to aid you in making a choice that you’ll love. 2. Safety is one of our top priorities. 1. Every last detail is overseen by the owner. Take A Look At Us Throughout An Entire Job. 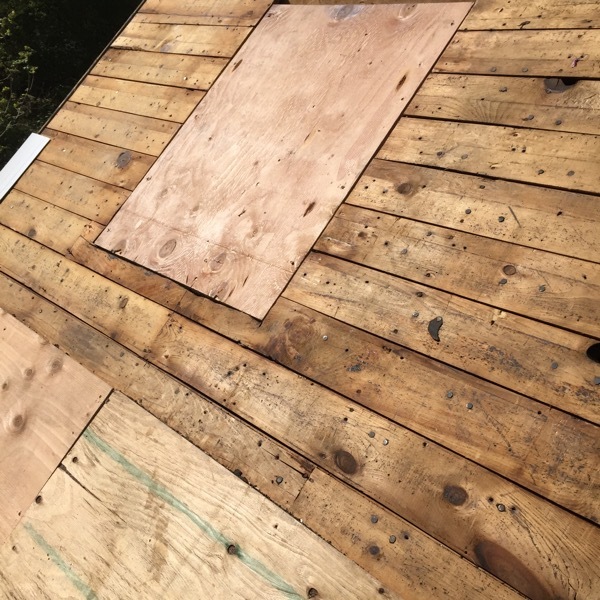 When it comes to removing shingles we build plywood shoots and barriers to protect your home and plants. We treat your house as if it was ours. We keep a clean, safe, and organized job site. Safety is a top priority at Family Tree and Home. 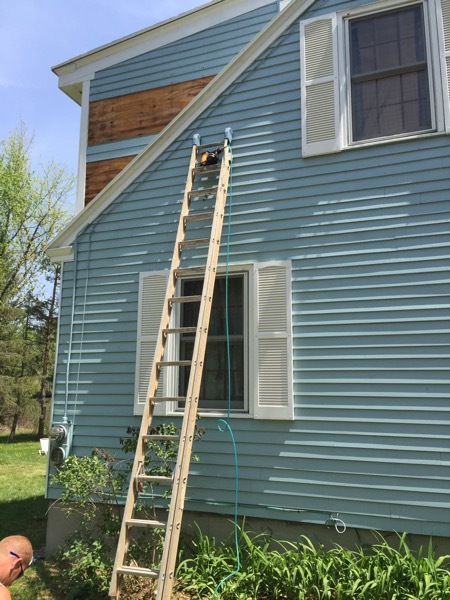 Proper installation of flashing occasionally requires us to remove a portion of the siding. While this can result additional charges we are very efficient, reasonable, and will never take shortcuts. 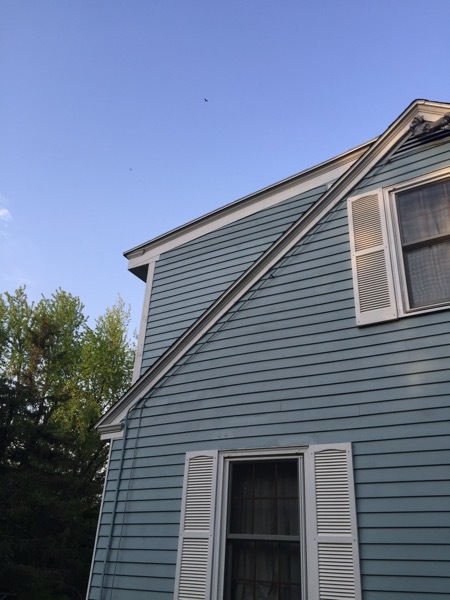 Here is a photo of the siding after it was removed and reinstalled for flashing purposes. We love our job and would love to give you a free estimate. Reframing of the skylight holes. 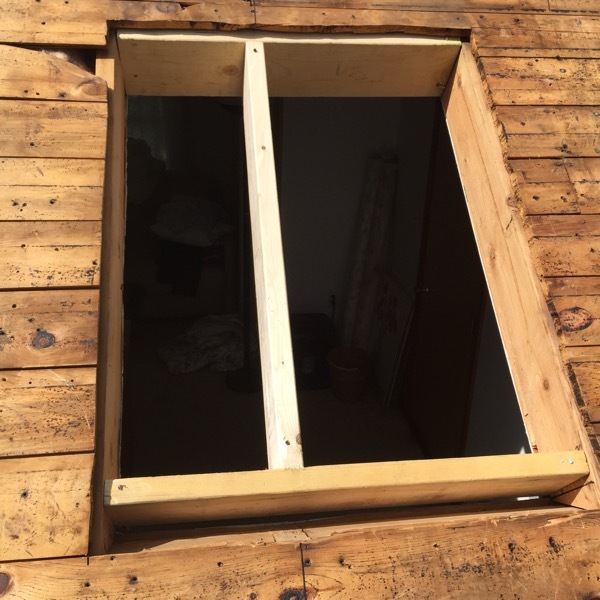 After we reframed the skylight 3/4 inch plywood was installed to match tongue and groove roof deck. 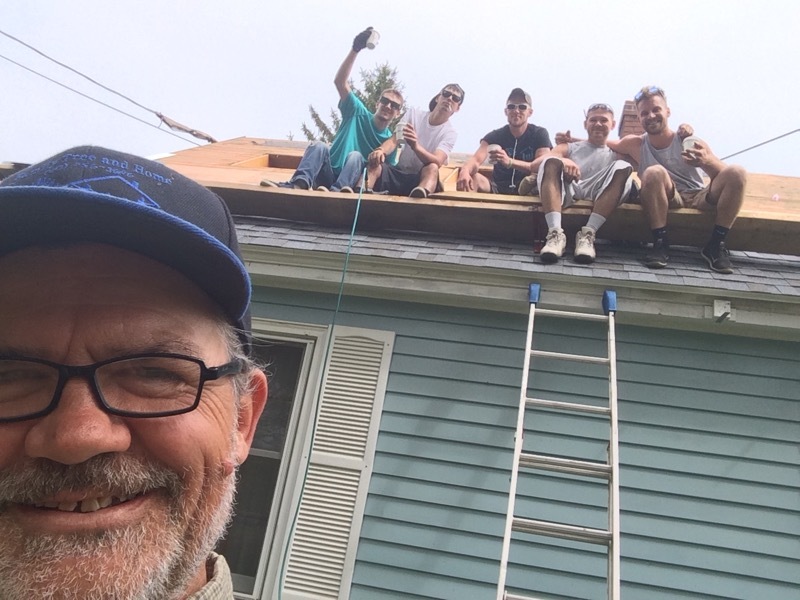 It’s then covered with all new plywood to satisfy all MA building codes and secure a happy home for our new shingles. I am confident that you will be pleased with the final product. 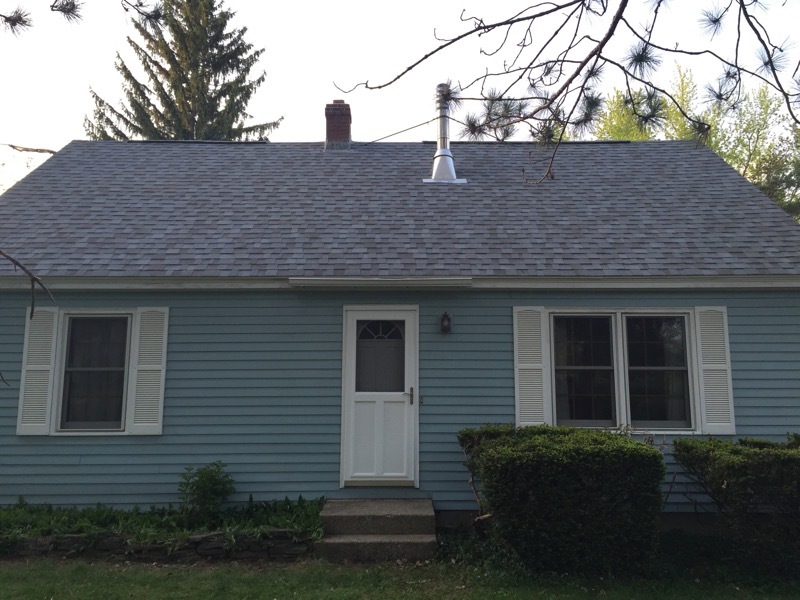 This roof may look simple but involved stripping shingles, reframing and removing skylights, re-plywooding entire house, removing siding anywhere there was flashing to install oversized flashing, underlayment up the wall new siding was purchased and installed, painted a new flashing kit which was installed for metal bestows chimney and lead was redone on chimney. 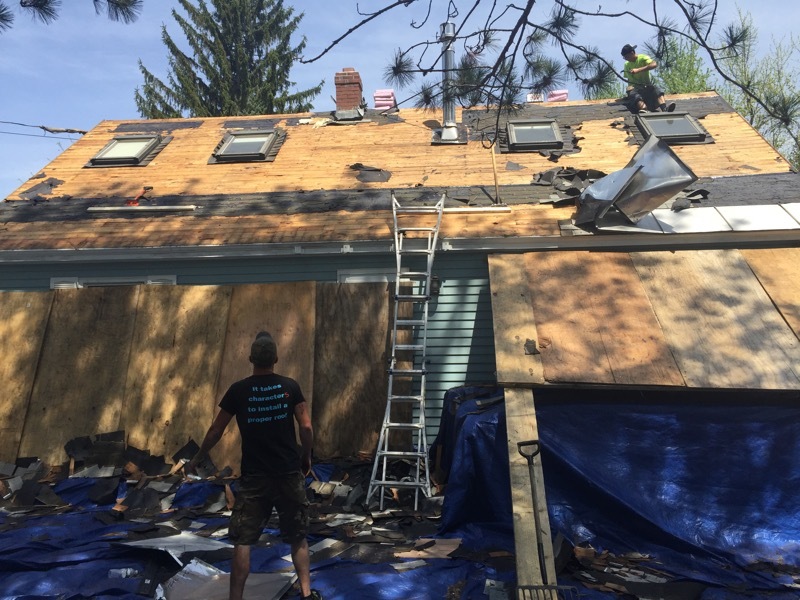 In addition, the roof also included asphalt roll roofing and entire roof was covered by ice and water barrier. 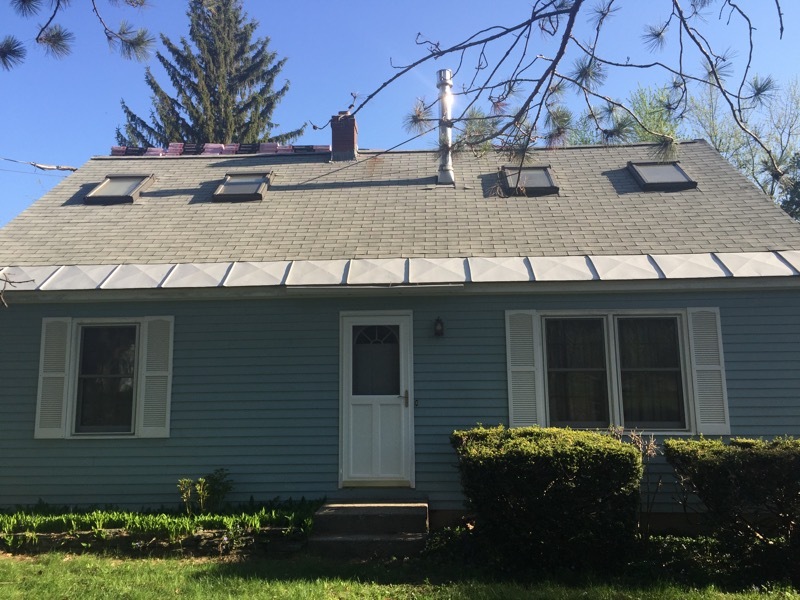 This roof, like most of our roofs, is covered by a 50 year warranty. 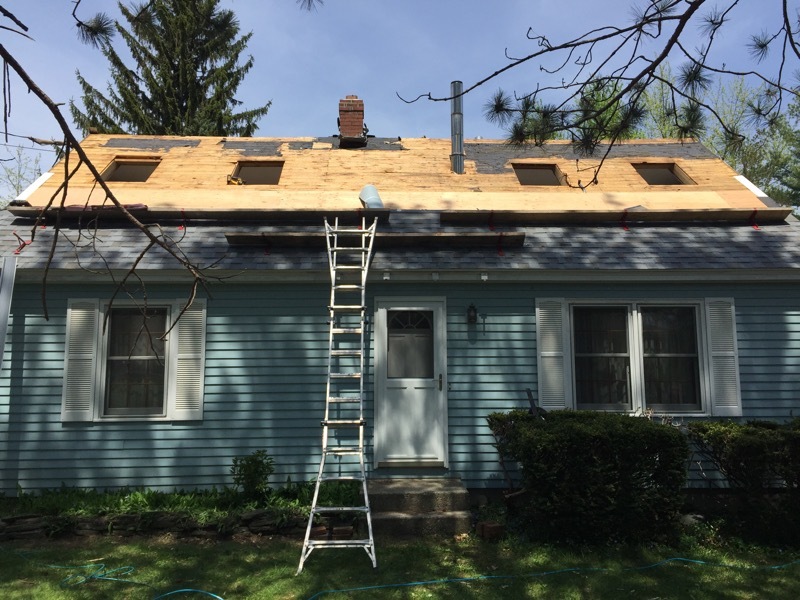 Please contact us today at (413) 478-8159 to schedule a free consultation and estimate.